Golf and La Manga is a wonderful combination for the area that lies in the Murcia region of Spain. This is a destination that has plenty to offer in terms of amenities and facilities, and if you fancy spending some time playing golf in La Manga Spain you will certainly not be disappointed with the facilities on offer. Many visitors come to this destination for their vacations, and whether you holiday here in the summer or the winter months you will enjoy plenty of glorious sunshine. This is a destination that has also become very popular amongst people that are thinking about living in Spain, as well as those looking to enjoy a great vacation experience, and those want to enjoy a range of recreational activities, such as golf, water activities, climbing, nature walks, and more. A huge variety of golf courses is available in the La Manga area. Starting from bottom up: La Manga Golf , Golf Torre Pacheco, Rodagolf, Hacienda del Alamo, Murcia Golf Altoreal. 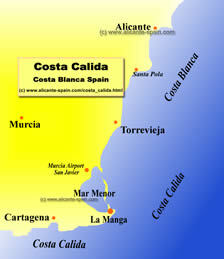 In addition the three Torrevieja golf clubs can be found on our Costa Blanca golf courses page here. Starting with the most well known golf club in the area the la manga golf club hosts three 18 hole courses. The west (oeste), north and south courses offer a huge variety of interesting holes and plenty of difficult greens :-). The large practice area with a 80 by driving range and various putting and chipping greens make it one of the most visited golf courses in Spain. A bit north of Cartagena, lies the golf ground of Torre Pacheco. 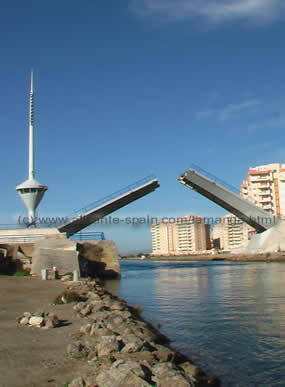 With its 9 hole golf course it is not very well known among most Costa Blanca and Costa Calida visitors. However, it’s a lovely golf club, certainly worth visiting. 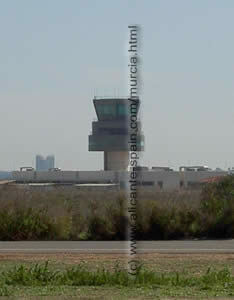 Near the city of San Javier, where Murcia airport is located, lies the 18 hole golf course of Roda. Including a wide driving range and putting green, it is one of these local courses you should have played a round of golf while you are around the area. 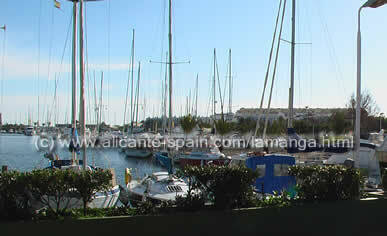 In between Murcia and Cartagena you will find this lovely golf resort with its beautifully maintained 18 hole course. If golfing is one of your favorites, you will love the extensive practice area which includes a 36 bay driving range, a six hole practice ground and two putting greens. Just north of Murcia you find this 18 hole golf course. A day trip to this Murcia golf course is most often combined with a shopping trip around the northern part of the city where many large super- and hypermarkets ( e.g. IKEA) are located. So it is like a combined golf and shopping “excursion”. La Manga offers a charming and wonderful blend of entertainment, attractions, sights, and natural beauty, along with plenty of places to unwind and relax, and plenty of opportunity to enjoy some fun, excitement, and adventure. With a rich history and colorful culture to explore, this really is a place that has something for everyone, from those that travel here for a break to those that plan to live here permanently. Whether you are a couple planning on a romantic break, a single person wanting to enjoy some fun and adventure, a family looking to enjoy some quality time together in a fabulous destination, or a group planning on combing fun and relaxation, this is the ideal place for you. Golf in La Manga Spin is very popular because of the excellent facilities available, and there are also excellent opportunities to enjoy all sorts of additional recreational activities, with something for everyone that enjoy spending time in the great outdoors. Of course, the fabulous weather is a definite bonus, so you can enjoy your favorite outdoors pursuits amongst incredible natural beauty and with great weather to look forward to. If you want to enjoy some real rest and relaxation, you can spend some time enjoying the wonderful beach and basking in the sunshine. If you prefer to explore, you will find an array of excellent places to add to your itinerary, and there is plenty of rich history and colorful culture to explore in the area. Add to this the vibrant nightlife, unique shopping opportunities, cultural entertainment, and family attractions, and you have a destination that can be enjoyed by all sorts of people and all age groups. La Manga boasts a great choice of accommodations, so whatever your needs, circumstances, and budget you can find property that suits your needs and your pocket. You can select from self catering apartments for those that want more freedom and flexibility to a choice of hotels, where you can enjoy a warm welcome from the friendly staff and a range of amenities and facilities to suit your needs. You will also be able to enjoy a choice of cuisine in one of the local eateries, and you will find everything from family and casual dining facilities to fine dining facilities, serving up a range of tasty snacks, local specialty dishes, and mouthwatering meals. You will always find plenty to keep you busy and entertained when you come to La Manga, so as well as taking some time out to relax and unwind away from the stresses of every day life, you can also enjoy a full and diverse itinerary that will enable you to experience a vacation that is both satisfying and memorable.